Taking the best possible food photo can be a pain (we know that already!) but at Farm Girl you'll want to keep on snapping left and right! The infamous healthy brunch spot of Notting Hill has started taking over London! Want to find out more? You show up on Portobello Rd, look for the small door and enter their small patio. The queue is probably be long enough to go through the news of the day (and then some) with your fellow foodie and pray for the weather not be cold. Their sketchy, more laid-back Aussie-style service has not earned them good reviews (budget a 30-45min wait!) but recently they've started paying more attention to this and hence offering some hot peppermint tea as you queue up, free of charge of course! But when your table is ready, it's your call to join the sect. Mint green tiled walls, white ceilings and colorful dishes and produce on the tables stimulate even the most color-blind person, making up a good segway of what you are about to experience. I recently found myself immersed into this cool club (full of health freaks - truth be told!) on a Sunday morning and loved every minute of it - even the wait! Farm Girl has one of those wonderful all-day menus in case you wanted to have your acai bowl or avo on toast (cover photo) during the late hours of the afternoon. But it also ups the ante from 11am onwards with bigger, more filling dishes like the Farm Salad and its selection of doorstop-sized sandwiches with fillings like rump steak. Other highlights on the menu are the Farm Girl Porridge (millet flakes, chia seeds, coconut, avocado and omega mix) and the Farm Girl BLT – smartly renamed the Coconut BLT because, well, it’s got coconut flakes in. 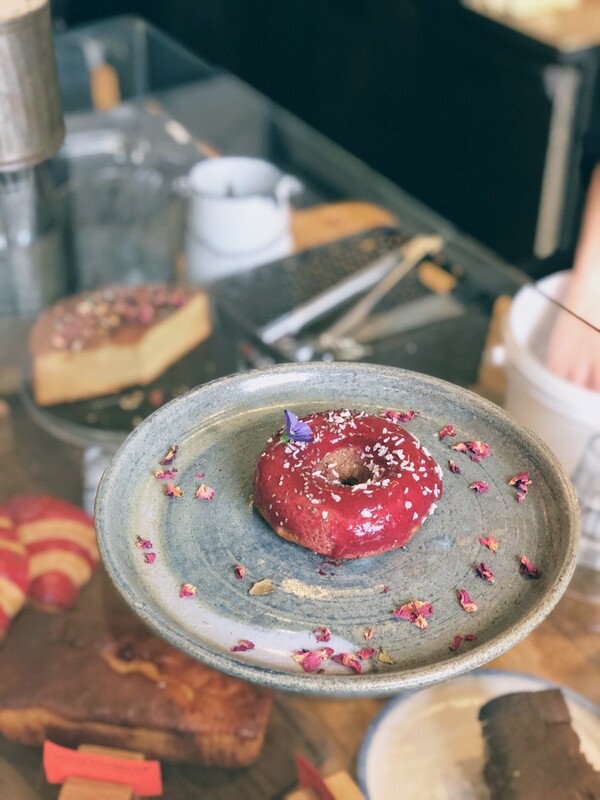 Their desserts are also a feast for the sweet-tooth, especially their red velvet glazed Matilde's doughnuts! 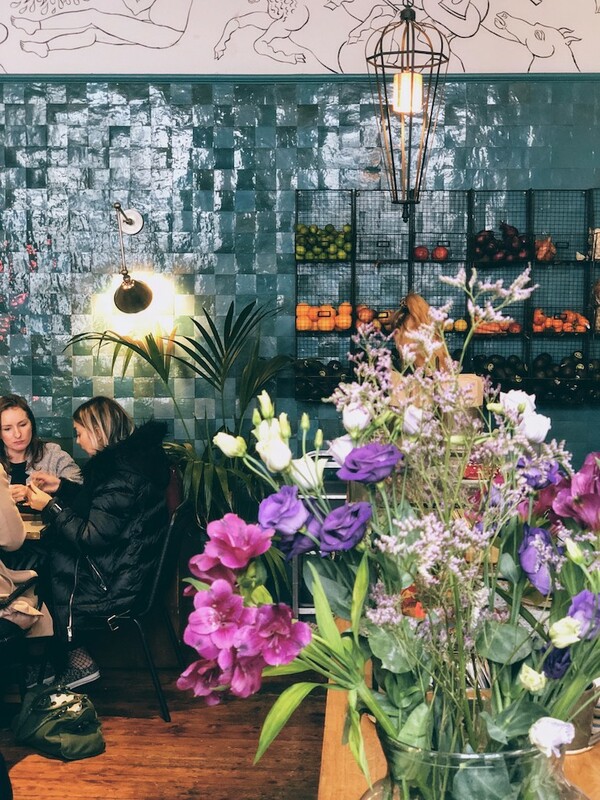 The place has gotten so popular on Instagram since it first opened in 2015 that it has recently opened up two locations in Chelsea and another one in Soho.